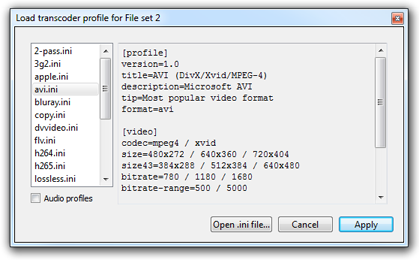 Only a few file formats support subtitles track that you can switch when playing back on video player software or set-top box: MKV, MP4 and MPEG/VOB for DVD-Video. 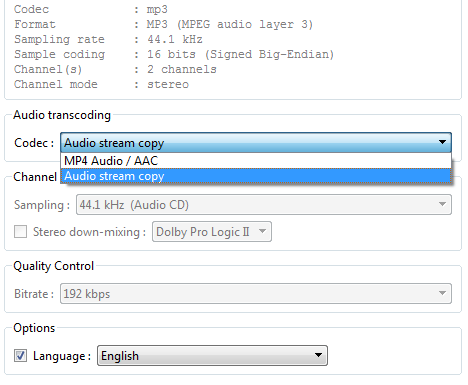 For all other formats, subtitles must be burnt-in permanently into video stream. 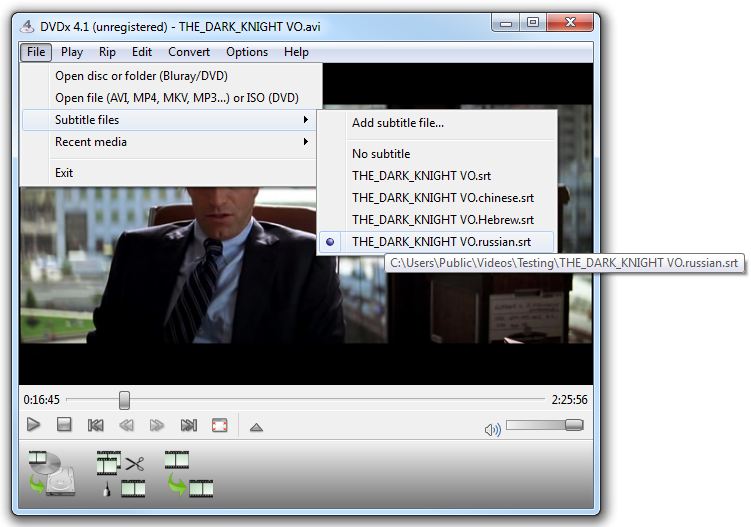 The burnt-in process is different if subtitles are picture-based (ripped from DVD or Blu-ray) or text-based (downloaded from the Internet). 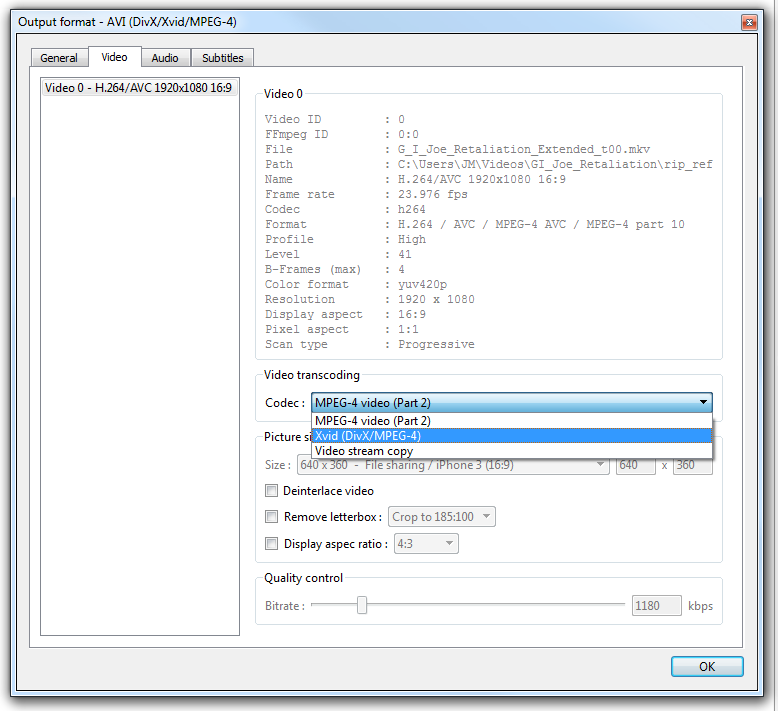 Picture-based subtitles are processed almost like a video stream, being overlayed over the main video stream. 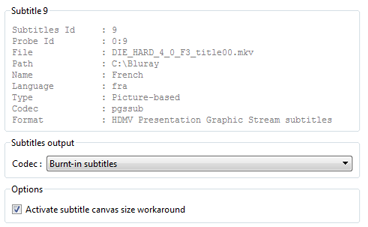 Issues could come, eventually, from subtitles canvas size. 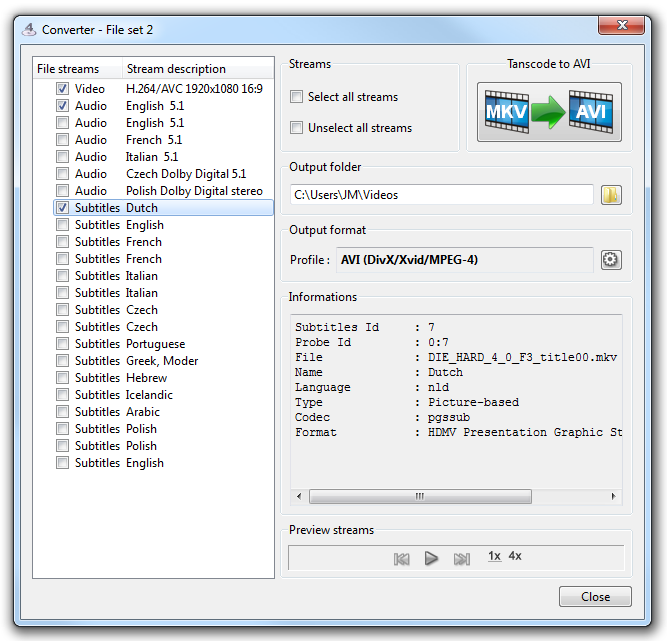 Text-based subtitles are rendered as pictures with an internal subtitles filter to be overlayed over the main video stream. 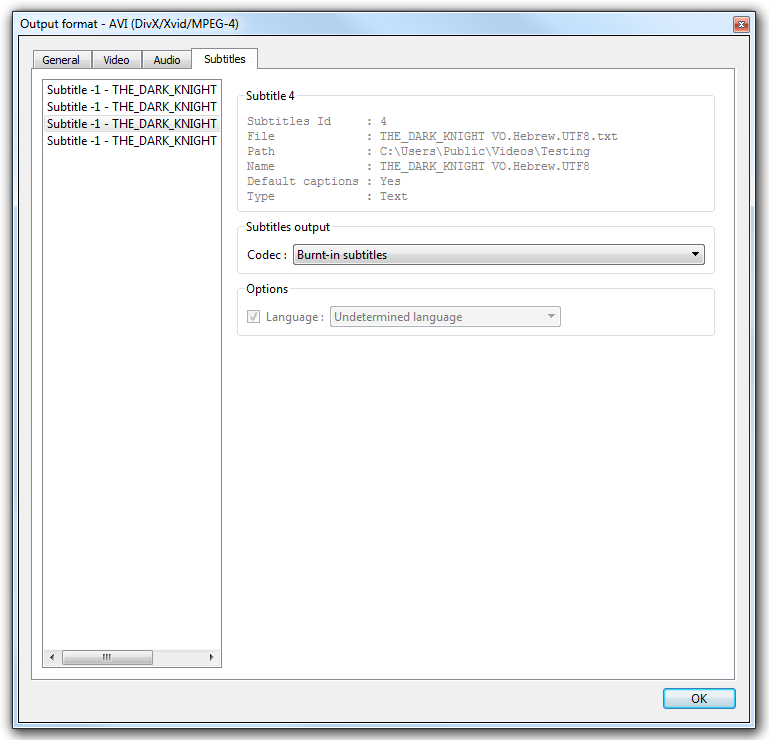 Issues could come, eventually, from fonts configuration and character encoding (charset_enc). 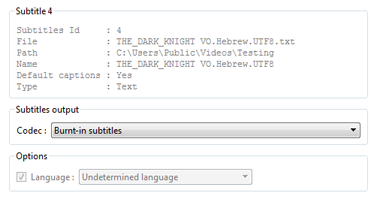 And you can choose only 1 subtitle track to burn in video stream. 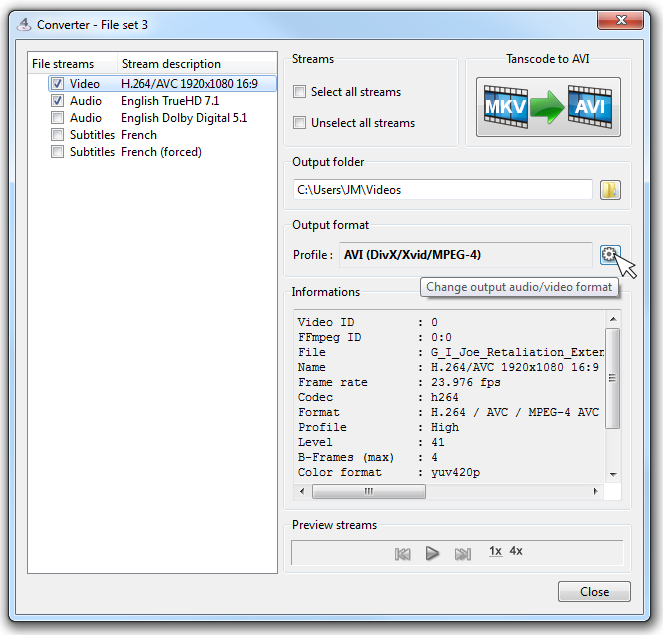 The subtitles stream you've selected in the player is selected in the converter. 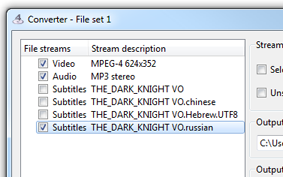 Left beside is a subtitles text-file selected. 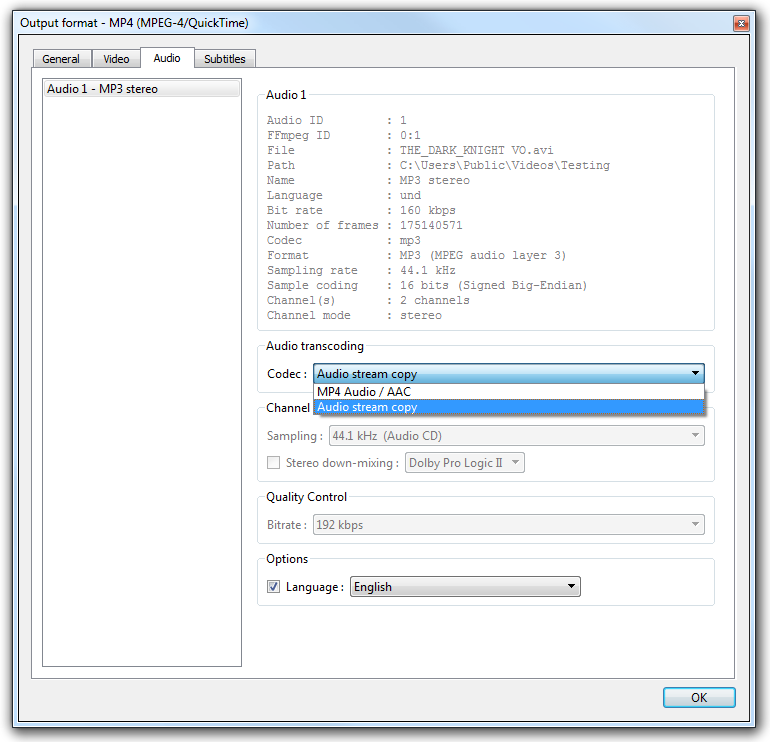 Click the image to see subtitle format information. 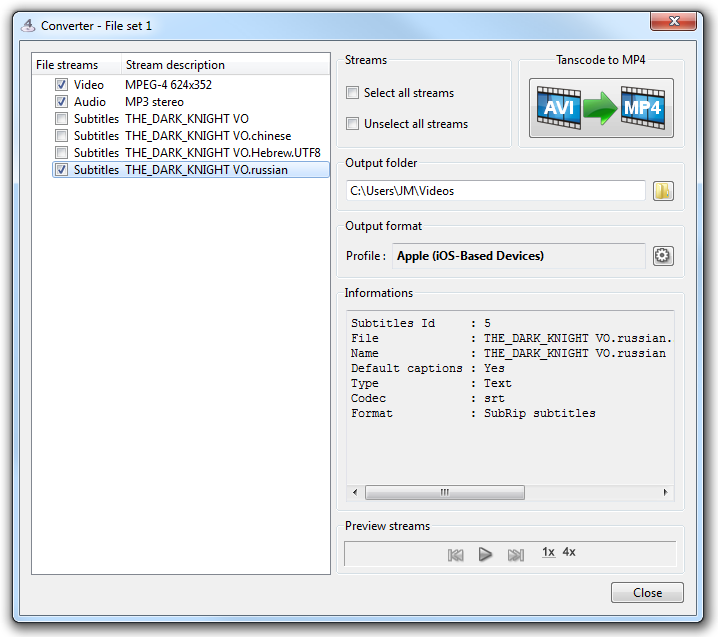 Left beside is a subtitles picture-based track selected. 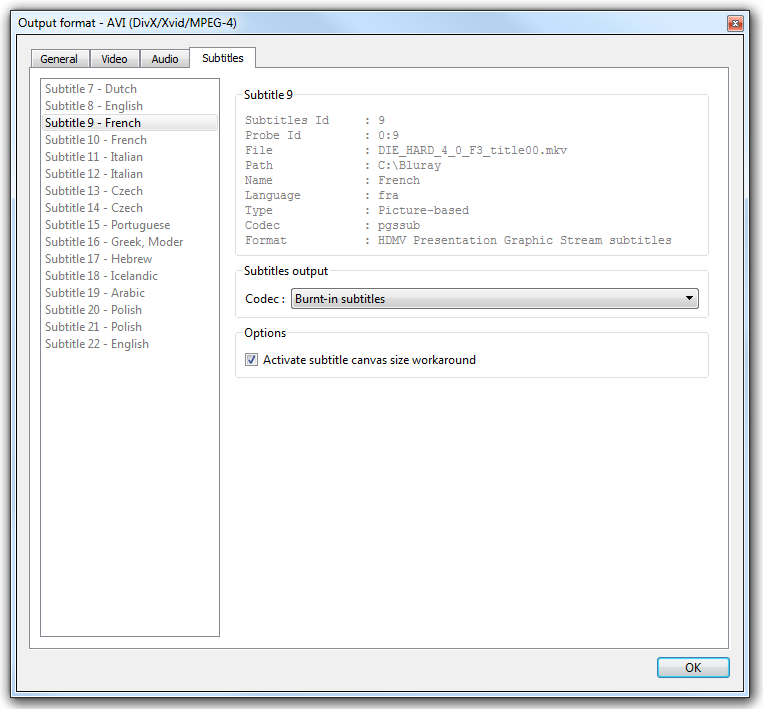 Click the image to see subtitle format information's. Profile field and Transcode to ... button give information about current output format (here beside MP4 profile for MOV/MP4). 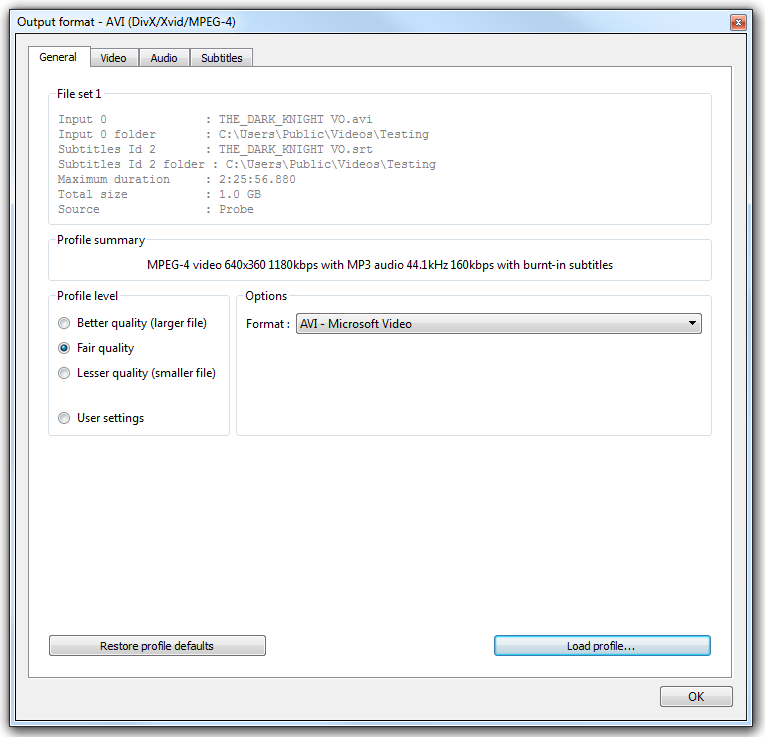 Now the output format window is open, click Load profile button and choose profile. All profiles come with a default Fair quality level with good settings chosen for you (keep it if you don't understand what settings are for) but you can change profile level to get a smaller file or a better quality one. 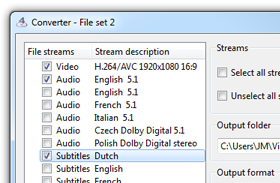 Video stream copy must NOT be selected for burnt-in subtitles. not relevant option for burnt-in subtitles. 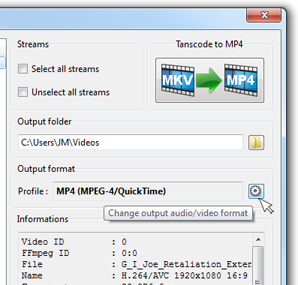 You're now ready to start transcoding, jut click the start Transcode to AVI button and follow on the transcoding progression.